How can I find out what is currently available for bidding? Visit the Bids and RFPs Page and click on the link for Bid / RFP Opportunities. You may also email us at bids@cmcmua.com. 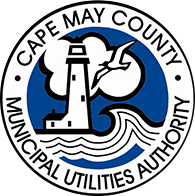 How do I add my firm to the Cape May County Municipal Utilities Authority (CMCMUA) bidders list? Please go to our Bid Portal and sign up. Once your information has been validated, you will be able to review and download open bids, which will include bid submittal instructions. Where do I send my bid / proposal? Please Note: Bidders/Proposers may enclose their Bids/Proposals in any sealed package that is plainly marked, with the name of the Bidder/Proposer, the name and number of the Bid/RFP, and the time and date of the Bid/RFP opening, on the outermost envelope and/or packaging. How do I contact the CMCMUA Purchasing Office? Hours of Operation: Monday through Friday, 8:30 a.m. to 4:30 p.m. The procurement document will specify the method of award. How do I Subscribe for Notifications about future Bids, RFPs, RFQs? When you are in the Vendor Portal you will see an envelope with the Subscriptions & Notifications. You can then set notifications for the Categories you want to see. When in the Vendor Portal, at the top of the page you should see a blue icon of a person with the Profile. This is where you can change information about your profile. At the bottom of the form, it will say "change password". Just click and change. If you have forgot your old password please use the "Contact Us" form to request a temporary password change. If you log in and get an error message you that means you have not been approved. You will have received an email from one of our staff once you have been approved. Please check your spam folder in case the email was sent there. When you sign up please check your email address to make sure the spelling is correct and that you have filled out everything.